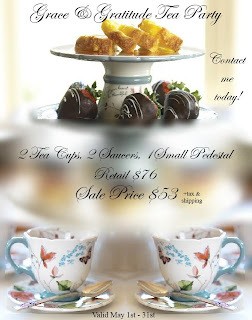 Maybe it is a tad late for Mother's Day ( unless your your mom, wife, or grandmother wouldn't mind) ~ but it's a perfect time to bless someone special with this lovely set of cups and saucers and cake stand ~ as gifts* for graduation, weddings, and birthdays. http://myblessingsunlimited.net/operationblessingbrigade The lovely tea cup and saucer sets, and the gorgeous small cakestand, are on sale this month until May 31 at latest. I hope you will take advantage of this wonderful Sale Price and sweet gift that any woman would most likely appreciate. *Please note that with any sales this month, a portion will go to a donation to a Florida safe house for young girls rescued from human trafficking. So with that in mind, please pass the above link and this sale on to your friends, family, and co-workers. 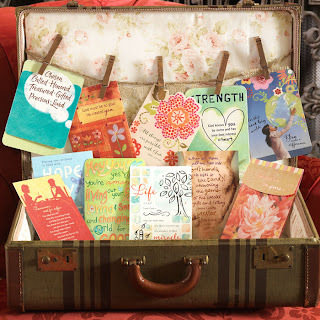 We also have several items in our catalogs that are dedicated to fundraising for Compassion International, which are clearly marked in the catalog as such ( after clicking the link, click SHOP, then look on left side bar for the words Be Compassionate...these items are those dedicated to Compassion International fundraising. ) You will see reviews on this site for many products that I support , but any brand that also gives to charities I support may have more product buzz than others. For those celebrating Mothers Day this coming Sunday, my heart and prayers are with each of you. I hope it is a wonderful day, surrounded by loved ones. For those whose mothers have passed, we stand with you in their remembrance , and pray that if you are a mother, that your day will be filled with Joy Unspeakable and sweet memories of both past and present, for the future, and the days to come. Palm Beach style icon Lilly Pulitzer has passed away at 81 years of age. Palm Beach style icon Lilly Pulitzer has passed away at 81 years. May God give comfort and peace at this time to her family and closest friends during this time of loss. Please forgive the lack of blogging...Even though I haven't updated here lately, or at Operation Blessing Brigade , we have been busy with several projects. ( will be posting on those a bit later with thanks to the sponsors. ) The latest have been finding sponsors to help in blessing and encouraging the staff, and the girls rescued from human trafficking at a Christ centered safe house here in the USA... and seeking more sponsors for the care packages and letter writing campaigns for 10 deployed soldiers, who really need encouragement right now. To help fund these projects & numerous others this year, I became a consultant with Blessings Unlimited, as I previously mentioned in the Compassion post. 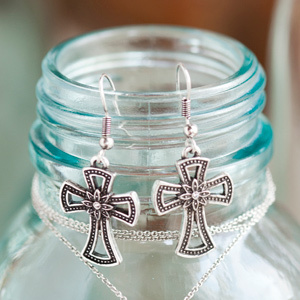 Tomorrow, March 25, 2013 ( actually tonite it is available) the new Bible based JEWELRY line for Blessings Unlimited has been unveiled. 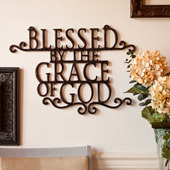 Blessings, the faith based home decor market place direct sales division of Dayspring cards, already carries many beautiful products. And now they have even more to help bring the good news to the world through their jewelry line. 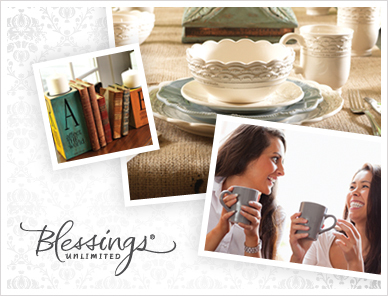 I am excited about the Blessings Unlimited New Jewelry Product Launch!
" 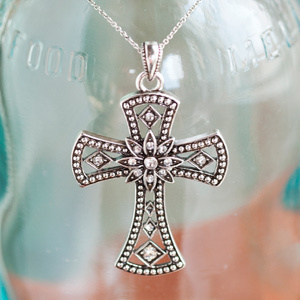 Wear your faith. In love. In kindness. In generosity. In hope." 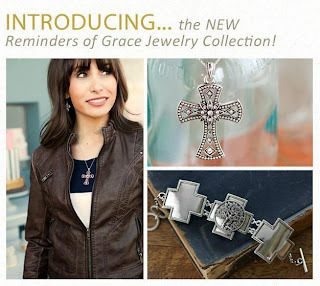 Introducing the new Reminders of Grace Jewelry Collection from Blessings Unlimited! here is a link to some of the new pieces. Please let me know if I can help you with anything. Click SHOP then on left side bar click JEWELRY. there are 2 pages.. don't forget to go to bottom of photos and click on 2nd page also to view. And please be assured that anything you purchase will help to support Operation Blessing Brigade and our projects of Paying it Forward. If you have any questions, please feel free to contact me via email or the other social media avenues you know me from. When you click through the above link you will see a contact form if you have any questions also. In the coming days I will hose a FB event, fundraiser also. I will let you know about that soon. here are just a few more pieces from their new awesome line! Please feel free to pass on this post to your blogging and social media friends & followers in an effort of community for what we stand for. I welcome your comments. Have a blessed Passover and Easter season with those you love... remembering the true meaning of this celebration. Be Blessed! Be Inspired! Be Encouraged! Be Compassionate! *Note: IF you would like to have your own fundraiser, or even earn these products free via a catalog or online gathering, please contact me at your earliest convenience. You can also let me know via the catalog website on the above links. .. and if you know anyone looking for part-time work from home ( Work at Home Moms, Christian Work at Home Moms & Dads ) and you refer them, if they sign up I will be sure to reward you!... just let me know! Disclosure: The links in this post are affiliate links which will help to support the ongoing projects of Operation Blessing Brigade and its recipients. Photographer Erin Manning & SanDisk Offer Tips on Taking Great Baby Photos! would like to share with you a short video which includes tips on taking those great baby shots you love and hope it gives you that edge in your photos that you have been looking for! These tips are from photographer, author and educator Erin Manning, as she provides her Top 3 Tips for capturing better baby photos. Erin gives you advice on setting the scene and getting close to the baby for those perfect images, as well as using a SanDisk Ultra SDHC card to make sure she never misses a shot. Join Us and Be Compassionate! Blessings Unlimited has recently partnered with Compassion International and their Child Survival Program to make a difference in the lives of women and their children in the Dominican Republic. The Blessings Unlimited goal is to create Project Centers around the world, beginning with CSP 25 in Santo Domingo, Dominican Republic. Partnering with local churches, this program helps empower mothers to give their children a fighting chance for healthy development with the supplies and training provided through your donations. Blessings Unlimited is very excited to be a partner with Compassion's Child Survival Program. The Child Survival Program is a proven way to help babies and moms in poverty survive through life-giving relationships with trained specialists who provide both physical and spiritual care. Please join us in our efforts to rescue babies and moms. For only $20 a month you can help sponsor a project center designed to rescue, nurture, and teach young children. This center cares for an average of 47 babies and moms each year. They receive medical and nutritional assistance, ongoing health care, literacy and economic training, food & supplements, parental education, social support, and loving support of a local church. Join me and others across our nation and help empower mothers to give their children a fighting chance for healthy development. When you make this decision and enter through my personal link you will also receive a free Compassion International T-shirt with your sponsorship. Find your voice and learn how you can make a difference today! Together, in Jesus' name, we can break the cycle of poverty. 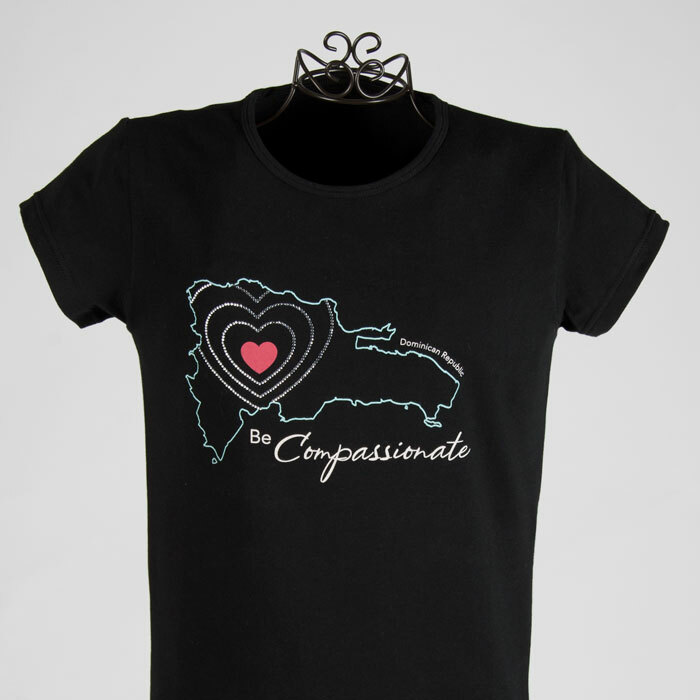 Please feel free to also contact me if you would like to host a fundraiser this month for Compassion International. This can be done in your home, via catalog, or online. Just click on my link and let me know how you would like to be involved. Wishing you a blessed weekend! * In addition, any purchase you make of the following items, a portion of proceeds will go to help support Compassion International! Just click on item you would like. ....for other sizes just click here. to your family through flexible hours. to find out more. Please contact me today for more info! Whatever your location~Hawaii, Arizona, California, Colorado, Massachusetts, Maryland, Florida, Maine, Vermont, New Hampshire, the Carolina's, Texas, ... wherever~, I am looking for fulltime & part time consultants across the nation. Prayerfully consider a Work From Home Option that gives you the opportunity to encourage and possibly change the lives of many! JULEP MAVEN ~Special 1 penny offer for over $40 of nail care products! Here’s a GREAT offer to try out if you like high quality nail polish and mani/pedi items! I know it works as I received my package in less than a week, AND I checked with the bank and only 1 cent was charged! here's proof with my JULEP MAVEN March intro box. Julep Maven is a website that offers a monthly box of the latest (and sometimes unreleased!) nail products, from nail polishes to hand and foot creams. Here is what the items look like unwrapped that were included in the box... yes, for only 1 penny into price! As you can see my March intro box included a Glycolic Hand Scrub "facial for Hands", a nail file, and 2 bottles of Julep Nail Color... mine were Emma & Kelly from the American beauty profile after taking the quiz. So head right over HERE and take the “style quiz” so they can customize a box fit to you. Normally, their monthly items are $19.99 and shipping is free. BUT, when you sign up right now — you can get it for just a PENNY...INCLUDING SHIPPING!!! *Use the promo code MARCHINTRO and your price will drop to just a PENNY!! This will enter you into their monthly program where you would be charged a monthly charge of $19.99 on the 27th of the month if you choose to continue your membership. If you don’t want to, it is very easy to go into your account and cancel! If you choose not to receive another shipment, you must be sure to cancel, pause OR skip a shipment between the 20th and the 24th of the month so you will not be charged for your next shipment, which is charged on the 27th of each month. I especially love the hand cream! Don't miss out on this great deal...Click HERE to sign up! Even if you do not use nail care products yourself, what a great gift this would be for anyone...and you cannot find a better deal! *if you have any problems, please leave a comment and let me know. But as you can see, when I did mine, there were no problems. Enjoy! And please pass and forward this deal on to your friends and family! Bloggers! Great Oppprtunity for Diamond Candles Review. This post is just a quick note to any bloggers interested in doing a review & giveaway for Diamond Candles Company. It is only available to 100 bloggers so best to sign up soon! A Family Full of Opinions and the Diamond Candles Company are giving 100 bloggers the opportunity to review a Diamond Candle and also give one away. Just in time for the holidays! Why is this such a special review opp??? Because Diamond Candles harbor a very special surprise. 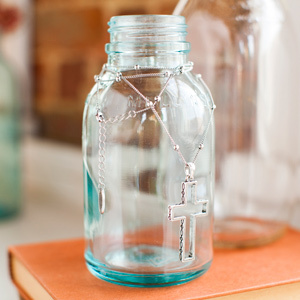 Each soy candle contains a ring valued from $10 – $100 – $500 – even one that may be valued up to $5,000! No one knows what you may find..(or give away as a gift) in your candle...but if you have a glittery pouch in the soy candle, you'll know you have found some treasure. Hurry on over and sign up now. Disclaimer: Full Disclosure: Posting about this blogging opportunity/review is a required entry for the chance to review one of these special candles. I have not been compensated for this post in any way. If you aren't familiar with Melissa and Doug toys yet, you are in for a huge treat. They are a great company, with excellent customer service and high quality toys. Their "philosophy has remained the same over the years–to make each and every customer a happy and permanent member of the Melissa & Doug family, while offering products with tremendous value, quality and design. Their line offers something for everyone with over 1,000 innovative products for children of all ages." What even impresses me more is the high safety standards they carry. Not all companies can say they have those high standards today. And I, for one, as both parent and young grandparent, am willing to spend even more, even if it means giving less, to find a company that can reassure me of these high qualities. The following statement comes right from the Melissa and Doug website.
" From day one, we’ve signed our names, Melissa & Doug, to every product we make. We take that signature seriously --- it’s our commitment to you that you can trust the products you bring into your home. As parents, every time we make a product for you, it also has to pass the test of coming home with us, where we enjoy playing with these same toys with all six of our children. Additionally, we specifically test our paints and coatings very frequently, to be sure our toys meet or exceed government recommendations limiting heavy metals and lead in children’s items. We have cabinets full of thousands of passing test reports, and these passing results have been verified by 3rd party independently accredited testing laboratories, considered by many to be the best scientific laboratories in the world." This past summer my family had the opportunity to be the recipients of some wonderful Seaside and Sand-time toys from the Melissa and Doug collections. These toys were appreciated and used by both child and adult alike! And they provided us all with hours and hours of fun. So, you can imagine my delight, when one afternoon while shopping at Whole Foods Market, I was turning the end cap on one aisle, and low and behold, the entire end cap was dedicated to Melissa and Doug Seaside Collection toys! And it was under a sign that said "Summer's Best!" With that said, when you are making your Christmas gift purchases, don't forget Seaside Toys can be used year round, and will be fun for the entire family. And if you are travelling for any of the holidays, please check out Melissa and Doug's awesome product "the TRUNKI! " The children love it! 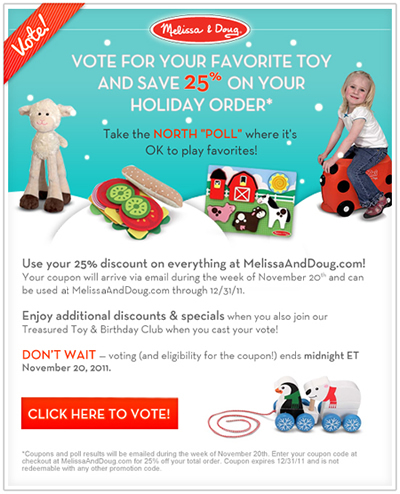 Please don't forget to click on the above voting widget box and vote for your fave toys in order to receive a 25% off coupon... that's a great savings. And if you have no little ones to buy for this year, perhaps consider being a Giving Angel to a child or family less fortunate. There is much joy in giving! **Full Disclosure: this article is my honest opinion of this company. My opinions are not altered by any consideration given. There has been no financial consideration, but blogger and reader may receive a small gift certificate and/or a special discount rate on the Melissa and Doug products. Recently some friends and I had the opportunity with Green MomsMeet to get a first hand taste of Kashi TLC's new Peanutty Dark Chocolate Bars. Almost all that sampled these bars loved the peanutty taste and layer of chocolate and the varied texture of these bars. Those few that could not try the bars due to peanut allergies, decided to donate their samples to be put into care packages for soldiers and servicemen and women..( and I am sure they are going to be very happy with these bars.) As with all sampling, I believe it is important that we share all peoples opinions from our group in honesty. All of those sampling the bars agreed the package is colorful and inviting, and gives a clear description of product contents. Several of the people trying these bars mentioned to me that they loved the taste of the bars, but some did find them much drier than most granola bars. Because of the dryness, they felt these bars should be eaten with a glass of milk or cup of tea for moisture. For small children that love bars for their snack, it would be no problem as they usually have their milk or juice with their snack. They also said because they loved the taste, they would purchase them in the future to give them another try. All agreed these bars would be a good travel, office, school, or on-the-go granola snack. The following is taken from Kashi's own description of their bars. ..."Made with whole grain goodness and layers of tasty ingredients, our TLC® Layered Granola Bars are delicious indulgence you can feel good about. Each bar starts with our signature blend of 7 whole grains for a hearty, natural wholesomeness. The chewy granola base is then topped with real fruit spread and hearty nuts. And with 4g of fiber, 4g of protein and real fruit, they're as nutritious as they are tasty. Naturally, our TLC Layered Granola Bars are filled with so many good-for-you ingredients, you'll www.kashi.comnever miss what's missing - artificial flavors and preservatives. We promise. Kashi products are natural, minimally processed, and free of highly refined sugars, artificial additives, and unnatural preservatives. Kashi wants to help children eat better, and to enjoy it.They offer a wide variety of all natural foods- cereals, bars, waffles, frozen entrees, and crackers...all of which are nourishing and satisfying, while tasting good ! I also had the opportunity to sample and taste Kashi Cinnamon Harvest Cereal and Kashi TLC Soft-Baked Ripe Strawberry Cereal Bars. The Strawberry bars are baked with real fruit and wildflower honey which makes them extra tasty. The Strawberry cereal bars offer 3 grams of fiber and 11 grams of whole grains in each bar, which makes them ideal for morning or mid-morning snacks. Both were enjoyed and will be on future shopping lists! To learn more about Kashi family of products and their green initiatives, you can check them out at kashi.com! And while there, please take a moment to "like" them on Facebook so you can keep up with new products and coupons. And, don't forget, if you haven't already signed up at Green Moms Meet, take a moment now also to sign up for the latest "Green" product info, reviews, and sampling programs. **Disclaimer: I received this product for free from the sponsor of the Moms Meet program, May Media Group LLC, who received it directly from the manufacturer. As a Moms Meet blogger, I agreed to use this product and post my opinion on my blog.. My opinions do not necessarily reflect the opinions of May Media Group LLC or the manufacturer of the product. Latest update on Military family who lost everyting in fire Wednesday. **Update: Please follow my other blog Operation Blessing Brigade to follow the latest updates on our vision of paying it forward! I would really love the GFC follows , Subscribers, and comments, as that will help with sponsorship of our vision. Next week I will also be updating this blog with reviews and a giveaway or two! Looking forward to your responses and to hopefully lending a hand in blessing this family that lost so much. Remember one by one, we can help bless this family! Your part in this mission is important! 2010 Holiday Gift Guide & Giveaways UPDATE ! Winner being confirmed. Quick update to let you know that the winner of my other blog's 2010 Holiday Gift Guide & Giveaways 1st Swag from Stephanie's Beaded Closet is now being confirmed. When I have the winner confirmation I will update again. Also want to let you know you should check back in the next day or 2 and often, as I have a more giveaways being worked on, just in time for the Holidays and Christmas. Please come back and check it out, and please refer send your friends.. I follow many many blogs, and would love the follow back! Hoping you are having a blessed weekend, filled with warm thoughts,... cuddling & cozy near a crackling fire, or basking in the warm and balmy breezes of a southern sun somewhere, with friends and family you love! 2010 Holiday Gift Guide ! Please check out my latest posting on my other blog, http://palmbreezeliving.blogspot.com . Please let me know what you think. Would love a comment here on this post that you checked it out. While I am doing a 2010 Holiday Gift Guide with Reviews & Swag on the other blog, I am also looking for sponsors for Holiday Gift Reviews and Giveaways here. I do have one I am working on in the Beauty category and will post in a day or 2 so check back soon... don't miss out! ...and if anyone knows anyone willing to donate time to do a blog makeover for this blog, In Search of The Best, please let me know! Thanks so much! I know.. miracle needed on that one! Blessed Thanksgiving. Spread the Joy! Gratefully! MRSA is fast becoming more and more of a threat. This threat can be hiding in your home, your childrens school, church, and your local hospital. Many of us know people who we spend time with daily, only to find out they are carriers. And, as with all highly contagious diseases, we need to be educated and aware of how to protect ourselves, our families, and our children. In co-operation with the One to One Network, please check out the informative video at the bottom of this page. It will only take a couple minutes, and could save the life of someone you know from contracting this devastating and sometimes deadly disease. "With fall sports in full swing, equipment cleanliness and item-sharing on and off the field may get overlooked between carpools, homework and bedtime. But, skin infections like MRSA, a potentially life threatening antibiotic resistant Staph infection, are the cause of 56 percent of all infectious disease outbreaks in competitive sports in the U.S.
It’s important that as parents and coaches we do our part to help prevent the spread of MRSA. You can begin by getting involved in the Equip them Well program through three simple steps – collect, disinfect, donate. " Kitchenaid comes to the rescue!...for one blessed reader! After a long hiatus, due to fighting life-threatening illness, and still battling for my life, I am back to blogging more. To be honest, you that know me, know I try to keep up daily with Twitter...one of my fave places on the internet!.. (you can follow me at @projecthope7 ) I love to use social media for WOM and Brand Buzz. It's fast, easy, and puts most of us on equal footing. Really love this modern way of communicating ...not only about personal and business subjects, but about home decor, technology, geek talk, food, product and service reviews, and yes, even giveaways.! So, when I came across this great offer from KitchenAid this morning, I jumped. I knew I had to share it with my readers and friends. And, if you know my current situation with my kitchen appliances, you will understand why this offer from KitchenAid is so appealing. My appliances are 22 yrs old..yes, you read correctly! And, they do not work!... (being so ill your financial choices are usually limited when it comes to home improvement projects.) The repairman came for the last time a few months ago and issued a paper saying they no longer can fix my appliances due to age (and freon)...they must be replaced. The refrigerator doesn't work, and 3xs daily I have to add 9 jugs of ice..which is a problem since the freezer only partially freezes also,...takes 6+ hours to freeze an icepack!...it's like having an old-fashioned icebox! I am going to include some photos to demonstrate...(gosh, I cannot believe I am divulging this publicly!!!) Now, on to the stove...2 burners work and the oven hasn't heated properly for over 2 yrs. Dishwasher.. it also hasn't worked for last 3 years...hmmm...Appliance PR people...if you are reading this... would love' to do a review! ..so, that in a nutshell is why I jumped on this opportunity not only to enter to win new kitchen appliances, but also to share it with all of you!.. Phone: 1.800.531.5209. They can email me for my address, if not on file!.....giggling with delight, as a child thinking of the possibility of a desired present~..after all, there is a child in all of us that delights at the thoughts of something special...a gift... something we desire, just because...something that not only brings a smaile to the child , but also to all those around, when they see the face or heart of the recipient... Thats why I also love the name of this company...FAIRYTALE BROWNIES... but the ending is like that of Cinderella.. Dreams do come true at this company.. the happy ending IS incredible brownies that will delight the child ( young or older!) in all of us. Their stylish faux suede-and-leather gift box offers a refined touch to your gift giving. Includes 3 brownies, 6 Sprites, and 18 Magic Morsels. Top it all off with a jar of Fairytale Endings® Chocolate sauce for a rich and fudgy indulgence. Standard shipping is $6.95 per recipient. Sale items cannot be combined with volume discounts, shipping offers or other discounts. Limited quantities available. New orders only. Send this rich and delectable trove of desserts, toppings and beverages. 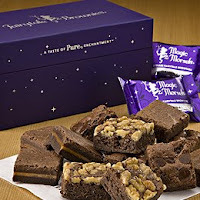 Placed inside their giant purple gift box are 12 brownies, 6 Fairytale Sprites, a 4 oz. bag of Fairytale Jumbo Cashews, 8 oz. each of Fairytale Coffee® and Fairytale Cocoa®, plus 1 jar each of our Chocolate and Caramel Fairytale Endings® dessert sauces. Your lucky recipient will be able to create the ultimate dessert! Now after all is said and done, how can you not run to your phone or to their site and order one or two of these awesome special today?! Don't forget, they can stay about a week in the refrigerator..( I dare you to try and keep them that long... seems to me there may be a few midnight raids to the kitchen, if you try to!).. or a bit longer in the freezer. They freeze great as they are individually wrapped. Just take them out and put them on a plate, still in wrapper, while they thaw. They are also a great treat or surprise to put in a loved ones lunch. But, to be frank, they are truly so rich and fudgy, if you are looking at calories, what I suggest is cutting in half(what they call SPRITE size Brownies), and wrap up individually to put in that loved ones lunch. I also have cut them in 4 and put a bite size piece on each dessert plate with a sorbet or french vanilla frozen yogurt. Another wonderful option with this company is that you can choose your own flavors for an additional cost of $3.95. 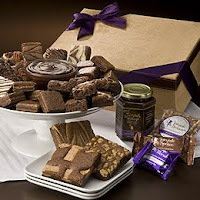 For example if you love Toffee, Caramel, Raspberry, Cheesecake, or Original Plain,(my personal faves), you can choose to have your assortment be just those flavors for a small additional cost. If you are having a corporate function, they have large bulk boxes, or for a more elaborate social event, they do corporate logos on the boxes, via box sleeves or ribbons..of any size, by the way, small guest boxes or large regular size boxes. You can go to their site, and see an example of how beautiful the corporate boxes can look! So if you are in a firm that gives employee gifts, or has social events, you may want to forward this blog review to them... you may be glad you did! Let them enjoy one dozen of our perfectly portioned bite-size Magic Morsels. 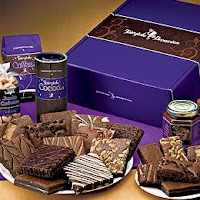 Includes 12 each of Original, Caramel, Chocolate Chip and Walnut flavors in 4 beautiful purple boxes with silver lining. A towering achievement. 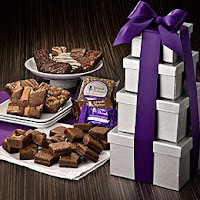 Our delicious treats are carefully packaged in 4 silver boxes and wrapped with a purple bow. Inside 3 brownies, 6 Fairytale Sprites and 18 Magic Morsels wait to delight. Oh and one more thing I have to share, FAIRYTALE BROWNIES ships to our service men and women! Please let them know about anyone in the armed forces you wish to purchase and ship to and ask them about any special shipping discounts for armed forces shipments! You can also buy in bulk to ship to a bunch of service people! Their customer service is more than happy to help you make the best choices for your purchases and shipments. If you liked this blog post, please do me a favor and leave a comment, here or on their site at Facebook. Maybe they will see the review and decide to award one of my readers with their own Fairytale Brownies to try! You never know!...Blessed and Prosperous New Year to all of you! Want to help raise funds for Toys for Tots while bringing a smile to a loved one for Christmas? It's easy. 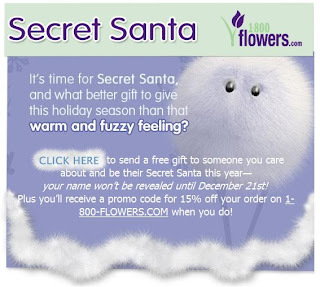 Just visit the 1-800-FLOWERS.com Secret Santa free application on their Facebook page (http://www.facebook.com/1800flowers) and try it out. Send your friends and family, or even colleagues, a little something extra through the 1800flowers Secret Santa application(and while there you can also send them REAL flowers and gift baskets, or even plants from 1800flowers!) and give them a smile at Christmas, while helping raise funds for Toys for Tots! A "warm and fuzzy" virtual gift will be sent to your chosen recipient without revealing who it came from, until Reveal Day on December 21st. You and the recipient will receive a 15% off discount code for sending or opening your gifts, as well. Let's help spread the word so that 1-800-FLOWERS.com reaches their 10,000 gift goal and is able to donate to the Toys for Tots program. Thanks for your participation in this fun program and have a blessed Christmas and warm, fuzzy holiday season! 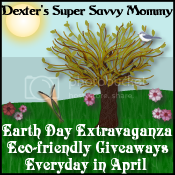 *By posting this campaign I have been entered into a giveaway. As many of you can surmise from my infrequent posting over the past months,..."it's still raining"... as in the following video and song. ( I already commented on this in an earlier posting, but it still touches my heart so deeply I wanted to bring it to you again.) That said, my heart is filled with Joy at the coming of each new day and each new sunrise and sunset. Each day is such a gift. Choose Love, Choose Life! ~lounge & activewear clothes from Zobha, TitleNine, and other great companies. ~ I started a cotton crochet bedspread while in Greece many years ago...never finished. I love white cotton thread crochet projects and would love to tackle a shrug for myself, my daughter, and my granddaughters! ~ one Christmas a great aunt from Connecticut came to the house with a red velvet dress, a cashmere sweater with white furry trim, new shoes, and a small childs chair for me. I will always, always, remember that Christmas! ~The Christmas Postcard, It's a Wonderful Life, and the one about the child buying the red shoes for his dieing mama. For those of you praying for Rachel and her family, due to increased symptoms, Rachels neurosurgical team have decided to operate at an earlier date. Her new brain surgery date is November 24th at 7:30 AM. Please continue to pray for her, her family, and all the medical staff involved. Pray for Gods constant abiding Love and Peace and Comfort and that the Lord would give Divine Wisdom and guide the surgeons hands. Thank you. I came upon this story today about this beautiful young 17 year old teen with a rare brain disease. She is scheduled for a rare brain surgery this coming December. Please read the story and pray for her, the family, and all medical staff preparing for this surgery. thanks for taking the time! You can read rachels story here. Have you ever had one of those valleys, where day after day you make a list of 20 things that each MUST get done,... and EVERY day, 3 things get done, and 4 more things have to be put on that same list??? AND, to top it all off, you are bedridden for several weeks due to inflammation and pressure on your spinal cord, being caused by a ever growing inoperable tumor that has decided to eat its way through your spinal vertebrate?....well, hopefully not too many of my readers have to deal with anything like that. But this, dear readers, is why this blog has not been updated as often as it should be. My goal started as writing a minimum of 3 articles weekly until I could see to writing an article or review daily. That has been put on hold, but I am working behind the scenes on several reviews for August and September, and a special series called Palm Beach & Resort Living, so please subscribe so you can be updated. You won't want to miss my updates in the future weeks. They will include reviews and a few giveaways. That list of products and services will include but not be limited to the following companies and products: SLIMPERFECT...a leading manufacturer in Women's SLIMMING Swim and Activewear; DiningRoomsDirect- a division of CSN...a dining room furniture and dining accessories online store; TROPICAL TRADITIONS.. one of the number one online resources for Coconut Oil, Coconut Cream, and all things Coconut...; KURU FOOTWEAR- an emerging new footwear company that has an edge on the "healthy feet, healthy life" lifestyle; AGELESS anti-age perfume by Harvey Prince;...Mayron's GOOD BABY Barrier & Diaper Cream;...Book reviews- The Momnificent Life by Lori Radun, Max Lucado's FEARLESS, and others;..Wanchai Ferry Frozen Entrees;...tech products(cameras, printers,Sound systems), chocolate, desserts,films, cds, events, desserts, beverages, childrens clothing and shoes, homegoods, and more are all lined up for the coming weeks. So now that I have shared why I haven't been very aggressive in my updates, and what you have to look forward to in the days ahead, I ask that you pray for me to have Gods wisdom in my healthcare and daily medical and financial decisions in my day to day life. I would love to be able to go to the TYPEAMOM conference in September in Asheville, NC. I really need to receive the training that they provide to bloggers and PR folks at these conferences. The conferences are attended not only by blog editors, but also PR people, brand ambassadors, company VIPS, and social media experts. I already have a dear friend who is willing to accompany me, to be a support for me, if I can get a few companies to take care of Conference sponsorship. If you know anyone in those areas willing to sponsor bloggers in exchange for plenty of buzz online as well as offline, please let me know. I appreciate that. And in the meantime, I also ask that you take a look at my article on the upcoming film, the Secrets of Jonathan Sperry coming to theaters in September. Please contact me if you know any churches or individuals that would like to see this film open in the theaters in their areas. Thank you! Have a blessed week! As many of you know I am a supporter of the upcoming Five & Two film, The Secrets of Jonathan Sperry. I had the personal privilege of viewing one of the first uncut versions of the film , which is now being previewed across the nation, and can only tell you , it is a film worth waiting for. Please make every effort to get to the opening days of the film in September in theaters across the nation. As a field agent for the film, I would also like to invite you to please contact me if you know any individuals or churches interested in bringing this film to a theater near you. Without your help, this film will not be in a theater near you, as one of the visions of the film is to involve the Christian community in using this film as a media vehicle outreach tool. What an amazing opportunity Rich Christiano and Five & Two Films have brought us! We can have great family entertainment available to us and our families, and through this film, we can also have yet another means of encouraging people and bringing them real Hope. Five & Two has just sent me this letter which I couldn't put into better words , nor add more needed info to. So again, please contact me as soon as possible so we can see this film at a theater near you! The tide is turning! By acting now you can help us share the truth of God's word and inspire your community for the Lord. The results of our preview screenings have been incredible! The Secrets of Jonathan Sperry is turning hearts to our Risen Lord! Even with our limited number of advance screenings we've already had over 400 people respond to alter calls. We need your help to maximize the impact of this inspiring movie! With over two months to go, this movie is already making waves. In fact, ABC News popular primetime program Nightline featured The Secrets of Jonathan Sperry in a recent story about the rising success of Christian movies. Recently, the star of the recent hit Christian movie "Fireproof" Kirk Cameron said, "The Secrets of Jonathan Sperry moved me with its message of the weight of eternity and the difference one faithful man can make in the lives of many. 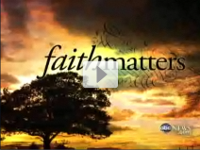 I recommend this inspiring movie for any family to watch together." Well-known Author/Speaker Josh McDowell says this movie is "loaded with excellent truths from God's Word." We need you to partner with us and get this movie into your community. By sponsoring a theater your church will share in the revenue. The movie is scheduled to open in theaters on September 18th. You can view the trailer and scenes from the movie at www.SperryMovie.com. Our goal is to play this movie in over 500 theaters nationwide in September and October and we need your help. Doors are open for ministry, let's walk through them! "You did a fabulous job in every aspect of this movie. This is a must watch film for every family and a must use film for every believer to take their neighbors, friends, etc. to in hopes they will find Christ"
"The Secrets of Jonathan Sperry" is one of the best movies I have experienced. This film has a powerful and compelling message, and the acting and production is of high caliber." "The Secrets of Jonathan Sperry is a heartwarming experience for the entire family. "The Secrets of Jonathan Sperry is one of the most touching films ever! It presents the gospel of Jesus Christ in a straight forward and inspiring manner. A must for everybody." Well, I just signed up for Aloha Friday. I think it started with Islandlife808 blog. I am under the weather with pneumonia right now, but trying to spend some blog time to cheer myself up. Thought Aloha Friday night do that! The point of the link love and Friday I beleive is to have a relaxed Friday and yet still do some blogging. If you’d like to participate, just post your own question on your blog and leave your link below. Don’t forget to visit the other participants!" So, first thank you for stopping by. Second, my question to you is: How, please tell me how, I can get people to follow back on my site and on twitter??? I have made so many links to others as you can see... real links that I comment and network with. I send many people their way, and encourage visits to others. Yet, I have only 2 followers! I also have a good network at Twitter, but twitter put the cap on me at 2000 and I only have 1020 followers there. they want you to hit 2000 followers I guess before they lift the cap. It makes it difficult. Any comments or link love would be appreciated. Vote for Mission Mommy to be one of 4 Slimperfect Blogher Babes! Stop in at http://www.mission-mommy.com to learn how @Girlfriendology, an online woman community has teamed up with @SlimPerfect and @MuffintopLess to hold a contest for ladies attending BlogHer this year. Four winners will be chosen to receive this "little black dress" for their Blogher wardrobe! ( it is the Slimperfect Swim and Activewear Dress.) While you are there, please read about how you can vote for Mission Mommy(Kim) to be chosen to be a SLIMPERFECT BLOGHER BABE...your vote will help her to win the Slimdress, and maybe even win something for yourself! Mom of 3, youthful grandmom of 7, busy living each day to its fullest, in search of the best,hoping and praying to make a difference. Life experiences: Missionary, Missions Pilot, Voiceover Artist, Radio Reading Host( News and travel sections),TESL tutor, Gift Shop Owner, Chocolate Shop Owner( oh..do I miss that one! ), Artist,(charcoal,pen and ink, portraits and landscapes), amateur photographer, gourmet cook,...friend, lover of Life! Viva Terra..The Best in Eco Living! From Dates to Diapers and Beyond! Champagne Living ...on a dime! Get the Tech Savvy Mama widget and many other great free widgets at Widgetbox! Get the ChoosyHomeschooler Product Reviews widget and many other great free widgets at Widgetbox! Win Cash to Fulfill Your Photographic Dreams! Casting Crowns "If We are the Body"
Todd Smith from Selah "I Surrender All"
Todd Smtih "I Surrender All" from Cross Point Church on Vimeo.